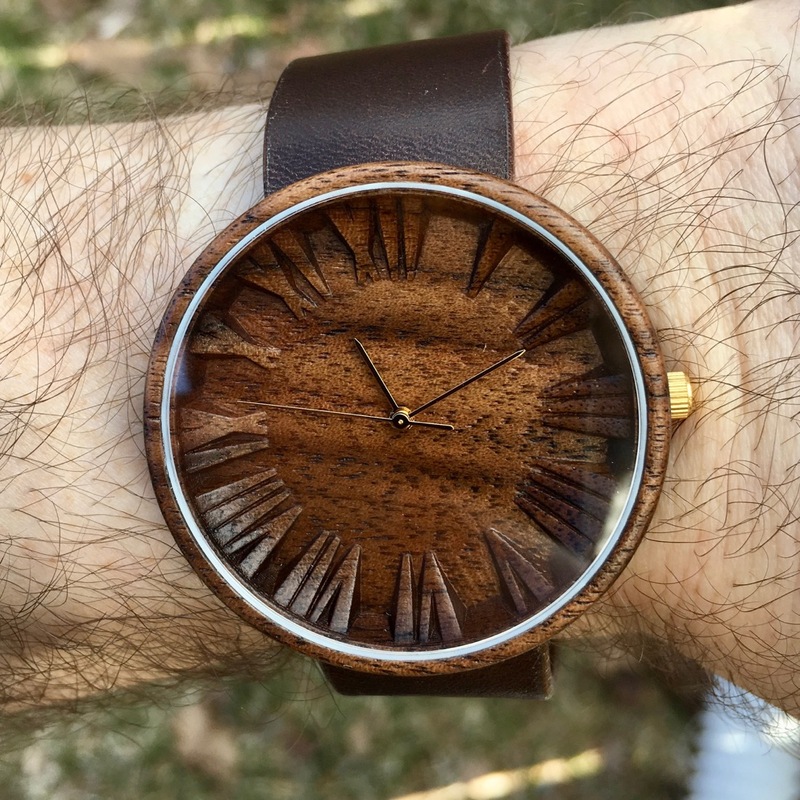 We’ve reviewed more than a few different wooden watches here at WWR. At first, when they started showing up, I was genuinely interested in them. It was a new and different material (in a watch) for me, and they were doing some interesting things with different color woods, making bracelets, and so on. Then, it just things like stuff stalled, and – much like the “minimal watch” craze today – it all just felt uninspired. So, when Ovi Watch reached out, my knee-jerk reaction was to politely decline. Then I took a closer look, and it turns out, there is still at least one brand doing interesting things with wood. Hence, today’s review of the Ovi Watch Prunus. Before we get too far into the review of the Ovi Watch Prunus, you might be wondering how, exactly, the dials are created. Or, to be far, the dial and case are a single piece. The product page calls out them being hand-made, and that looks to be right. Sure, there is some higher-tech carpentry equipment (and a CNC mill) involved, but this, at least in the video below, has the feel of something being done by some folks in their shop, and not some sterile factory. Suffice to say, the Ovi Watch Prunus is bringing something much different to the wooden watch table than I’ve seen before. To be sure, it is powered by a quartz movement (a Swiss Ronda), and is crazy lightweight (24g), which is familiar to wooden watch wearers. But as I say, the dial is unlike any you’ve seen. Even though it’s of a single tone, with the finish of the walnut, it’s super easy to read. With the depth of the Roman numerals, and the curvature, you get plays of light and shadow that make it clear. And the golden handset – while a touch undersized – picks up the light and stands out in super contrast against the dark dial. In other words, the Ovi Watch Prunus is a no-fuss, grab and go sort of a watch. For me, that also included the integrated strap. I know that some folks may not care for the button stud style of closure, but it fit to my wrist very easily. And, you know, with how light the watch is, this sort of closure works with out any sort of concerns about it pulling off your wrist. Speaking of the leather strap, it’s veg-tanned leather (hand-finished) and has that wonderful leather smell you want out of a watch strap. AKA, the smell test indicates some high quality stuff. Also high quality? The fact that they sprung for a sapphire crystal on the watch. Sure, changing out straps on the watch isn’t something you’ll do quickly, but I suppose undoing those four Phillips-head screws (this is guesswork, I didn’t do it) will open things up, and you can swap in one of your choosing. Just make sure it’s a one-piece, alright? That said, not sure why you would. This strap was great, and fit the tone of the watch perfectly. This is definitely a more casual watch, so it’s not one for a suit (unless, maybe, a summer-weight linen one) but otherwise, this feels like a great watch for summertime. Just be careful around the campfire, alright? Suffice to say, I’m rather glad I got past my initial reaction to “another wooden watch” and got to spend some time with this one in person. Would I wear it? Sure. It’s not an everyday sort of a piece for me, but as a palette cleaner change of pace, sure thing. What I’d change: I wouldn’t mind seeing some larger/wider hands in there. And if the want to get really clever, playing around with a clear luminous finish on those numerals could be fun. The best thing about it: That dial – this is so wildly different than the normal flat dials we see on wooden watches. And there are some wilder options in the Ovi catalog.